It is not overly difficult to research the ownership of mineral rights for specific properties in Ohio. In fact, for the most part, the ownership records of Ohio mineral rights are usually found in the offices of one of the 88 county recorders in Ohio. Regardless of whether the Ohio mineral rights are still held by the property owner, have been sold to someone else by the property owner or have been leased to someone else by the property owner, the ownership records will be recorded by a county recorder. Determine the name of the property owner. If you only have an address for the property, you will need to visit the appropriate county auditor's office either online or in person to determine ownership of the property before beginning your research at the county recorder. A link to a directory of Ohio county auditors can be found in Resources. Research the property at the county recorder's office. You can conduct this research online if the county recorder has published country records on the Internet. If the county recorder has not published county records online, you will need to personally visit the county recorder's office in the county where the property is located. You are looking for a copy of the deed in which the current owner received title to the property. A link to a directory of Ohio county recorders can be found in Resources. Determine who owns the mineral rights for the particular property. One does this by first examining the deed in which the current owner received the property in question. That deed will show whether the mineral rights were transferred with the property when the old owner sold the property to the new owner. If the mineral rights changed hands along with the property in this transfer, the current property owner retains the mineral rights unless they have since sold or leased them to another party. If the mineral rights were not transferred to the new owner, you will need to continue researching the property records in order to determine if the mineral rights are now held by the former owner. In other cases, this former owner or another prior owner in the property chain may have sold or leased the mineral rights to yet another party. Regardless, a purchase or lease of this property's mineral rights will be found in the county recorder's office. Lawriter:317.08 Records to be kept by county recorder. Directory of County Auditors: County Auditors Association of Ohio. Pullins, Scott. "How to Research Mineral Rights Ownership in Ohio." 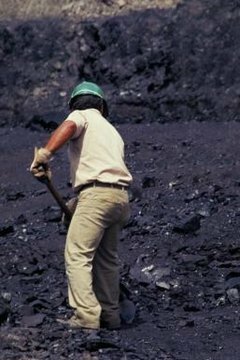 , https://legalbeagle.com/8285860-research-mineral-rights-ownership-ohio.html. Accessed 24 April 2019.